When we are asked to remodel a small bath, the challenge is always to figure out how much we can fit into a small space. 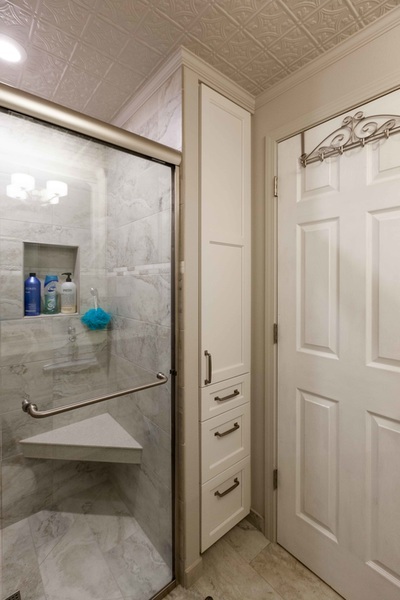 This project is a great example of just how dramatic an improvement can be made in a very small space. 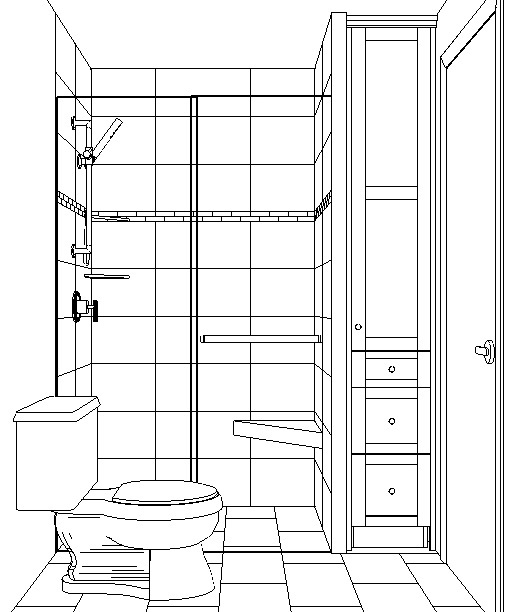 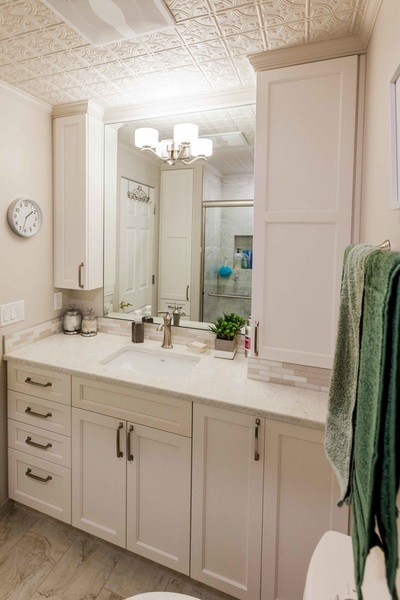 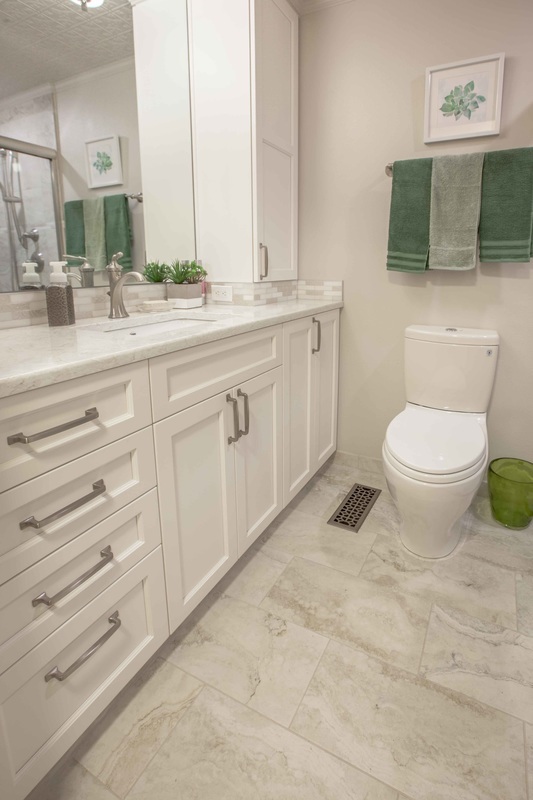 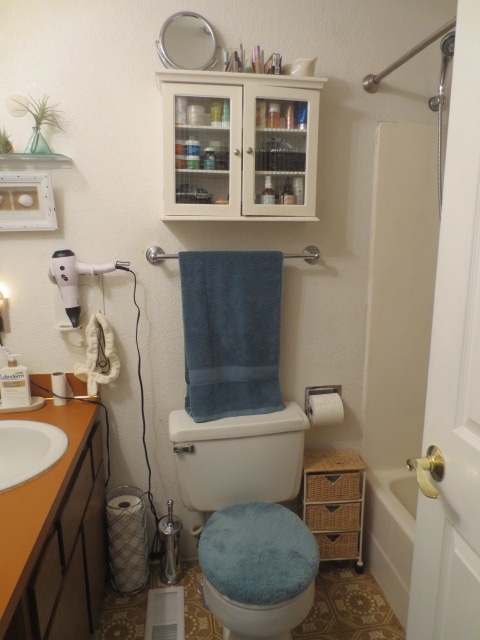 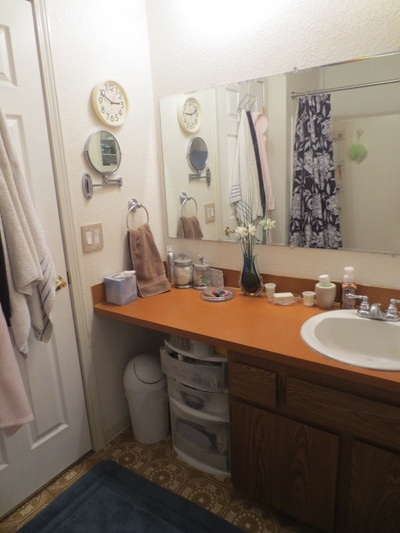 Our clients are planning to age-in-place and they wanted a nice bathroom with "the good stuff". They had no idea of how to start, except to call us. 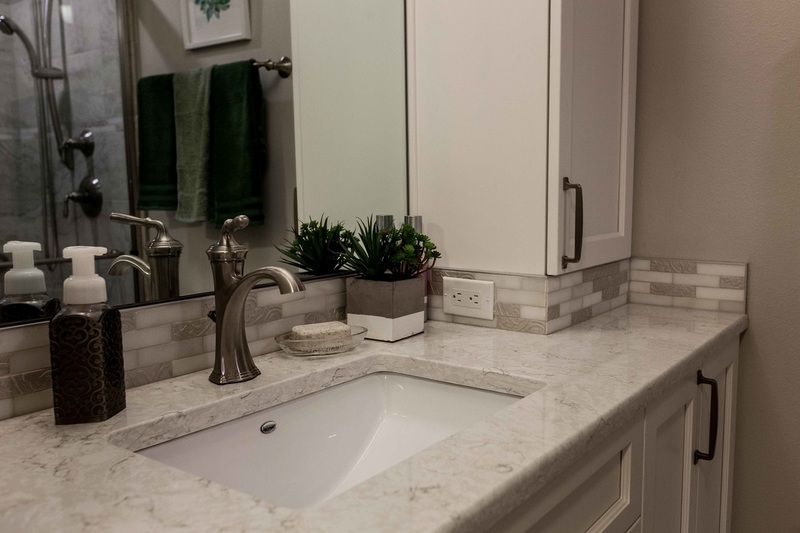 We took them from start to finish through the entire process. 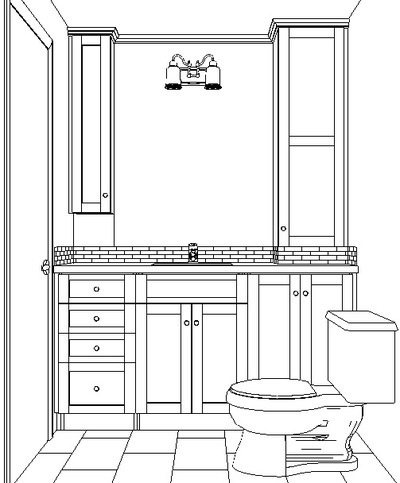 The Project: ​This bath 5'-5" x 7'-11". 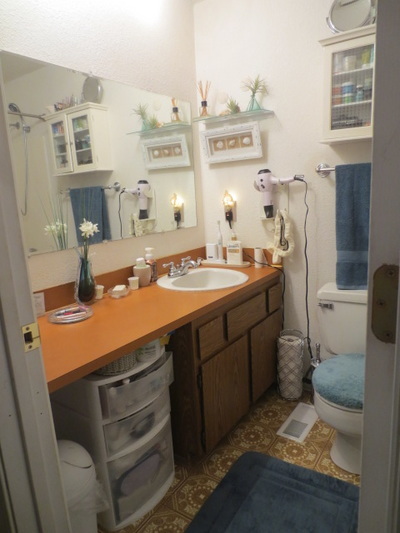 It is just about as small as they can get and still have all of the elements of a full bath. Enlarging was not a viable option, so we optimized the space we had. 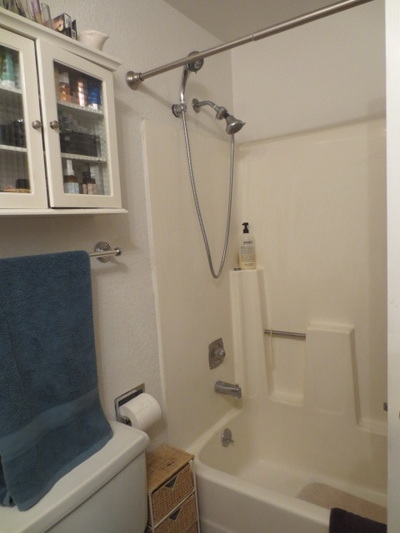 BEFORE: This was a typical 70's vintage builder-basic hall bath. 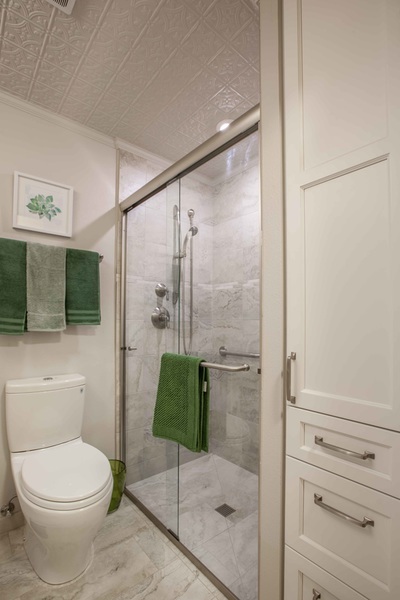 Minimal cabinets, vinyl floor, fiberglass tub/shower, Formica countertops, and builder-grade plumbing and hardware. 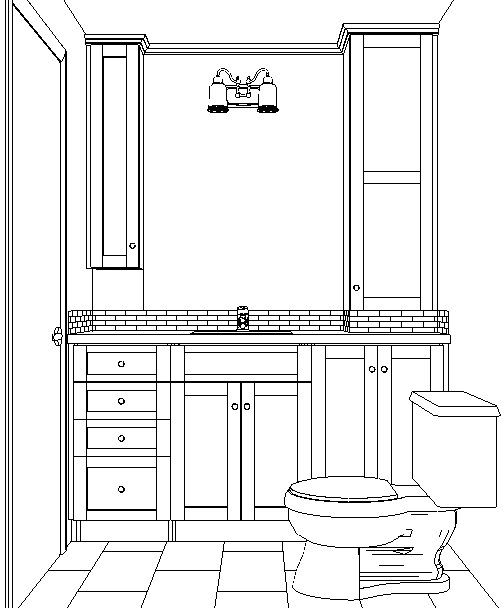 BEFORE we started, Not a lot of space to work with and definitely not optimized. 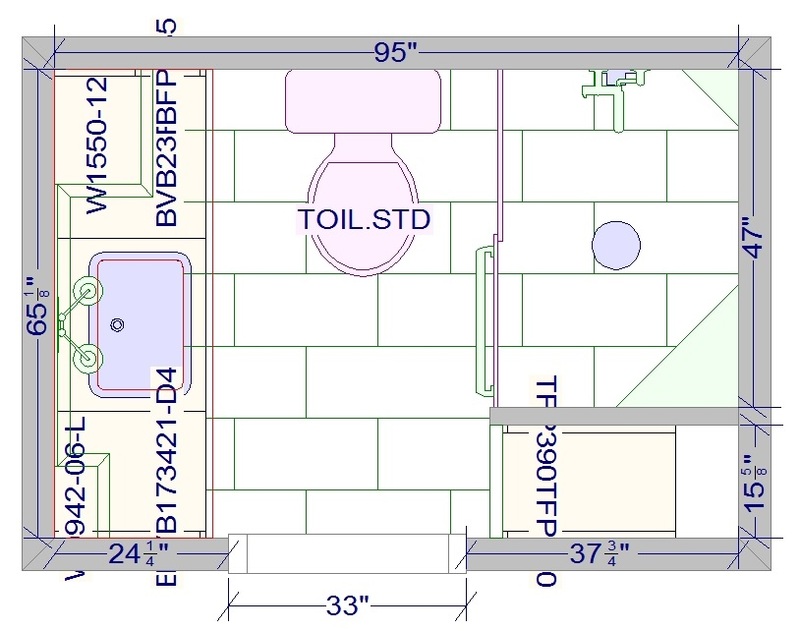 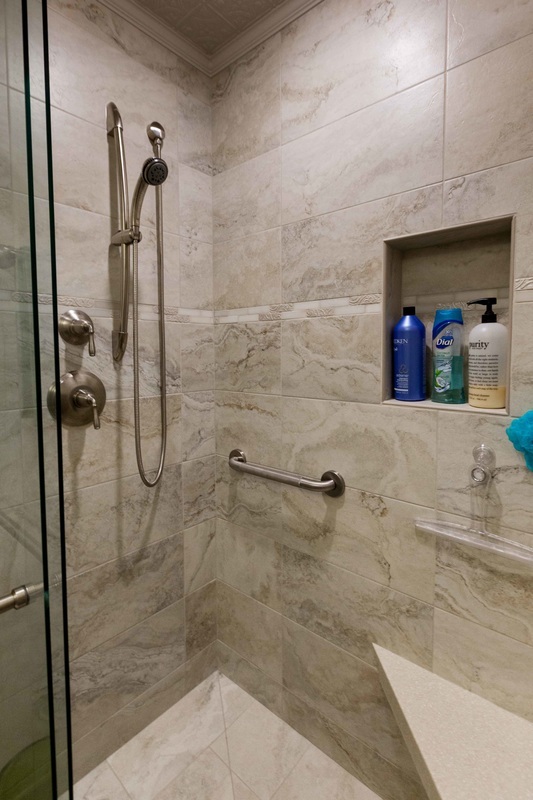 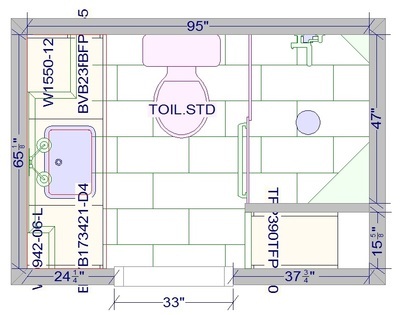 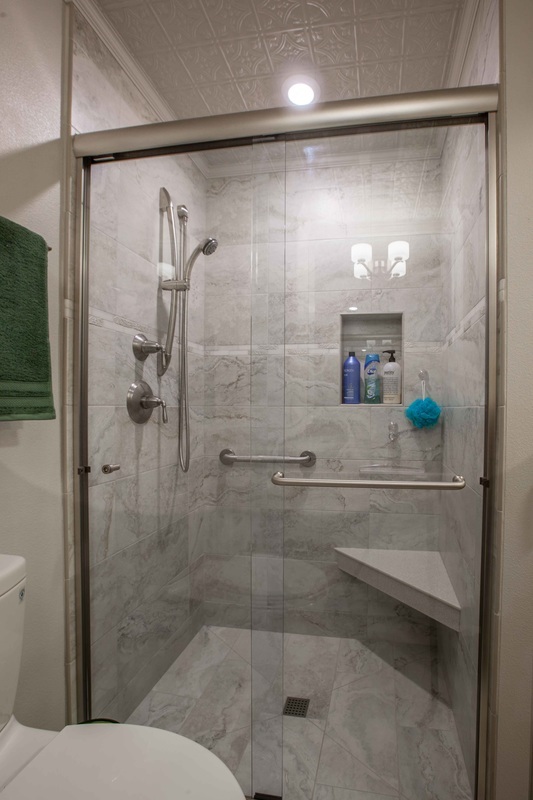 AFTER optimizing, we have more width in the shower, lots of storage of all types, easy access, easy clean, elegant, and the space feels much larger. 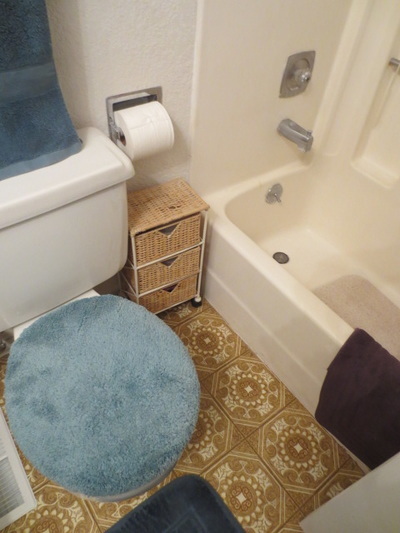 AFTER: Elegant efficiency is how I would describe this bath. 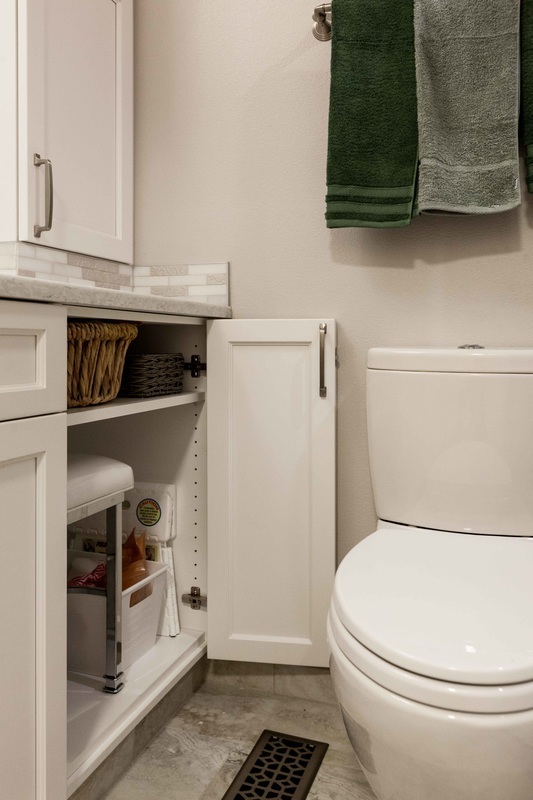 The actual open floor space is only about 3' square, but access to everything is easy, it is all of enduring quality, and it is all of easy-care products. 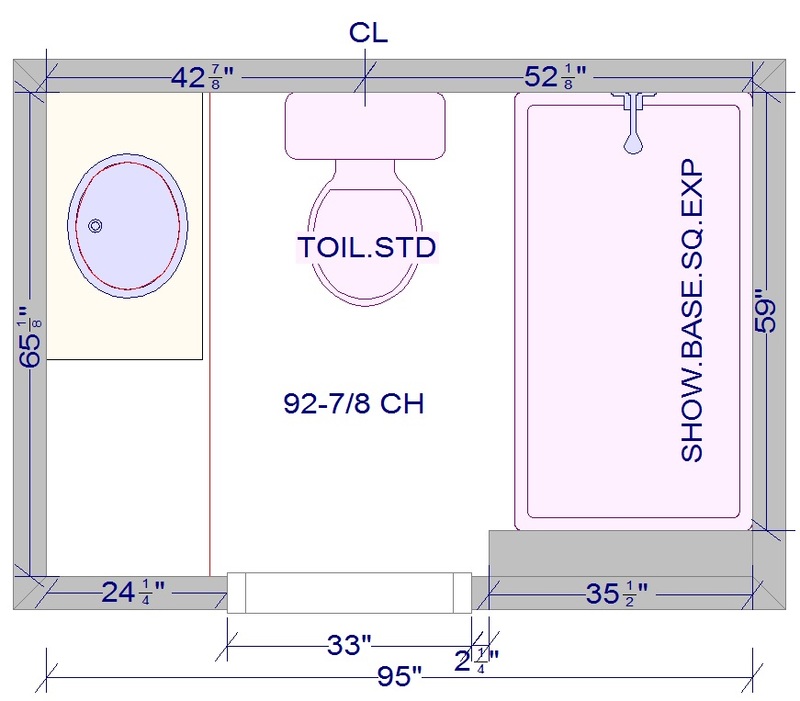 A bi-fold door makes for easy access to the cabinet next to the toilet. The Quartz countertop and the tile splash work together to achieve a soft classy look. 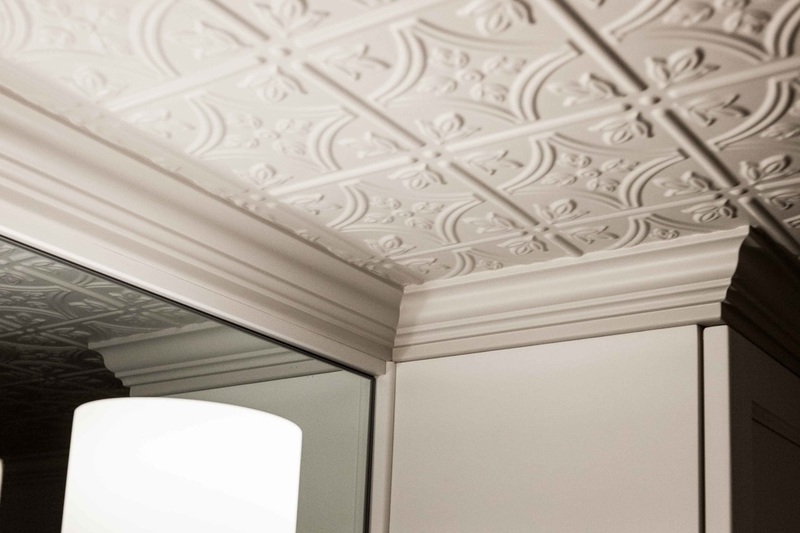 This stamped ceiling tile is made from paint-able PVC. It was fast & easy to install and definitely added the elegance she was looking for. 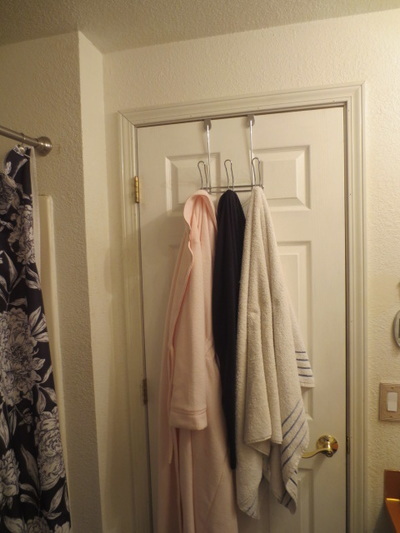 Taking out the 5' tub/shower and replacing it with a 4' shower and a linen closet was the storage solution she was looking for. The porcelain tile floor is a very authentic rendition of real marble. 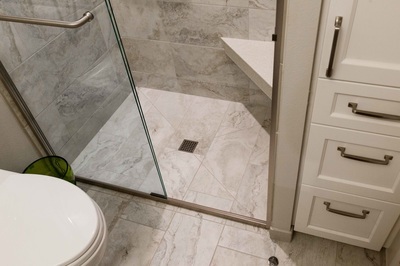 Porcelain tile is nearly bullet-proof and with epoxy grout; it's very low maintenance. This 34 x 48 shower has a great list of features. Porcelain tile, epoxy grout, suspended seat, corner shelf, niche, adjustable hand shower, grab bar, towel bar handle on the glass door, thermostatic shower valve, & a curb-less shower floor.